 One of the best things about visiting Napa Valley, other than the exquisite wines of course, is that your itinerary practically fills itself up the second you book your lodging. Nature lovers can spend their time hiking, biking, or enjoying the scenic river valley. Foodies will take pleasure in finding perfectly smoked charcuterie, wedges of handcrafted cheese, and other Napa delicacies. Annual music & film events will provide hours of entertainment. In between all of that fun, your itinerary will no doubt be filled with the quintessential Napa Valley experience; wine tasting. 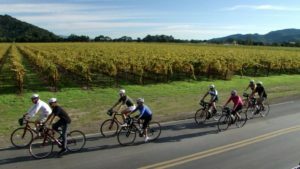 If you’re looking for a unique way to explore the wineries of Napa Valley, we recommend one of the bike tours offered in the Valley. Book your room at our Napa Bed and Breakfast today, and come experience one of the most exciting wine tours around. Biking through Napa Valley is a wonderful experience in and of itself. 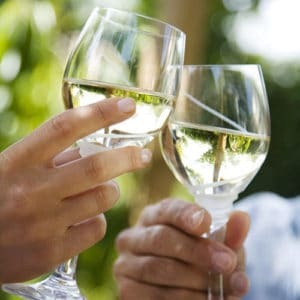 Add to it wine tasting at some of the best wineries in the valley, and you have a truly unbeatable experience. Biking to local wineries is the perfect alternative to traveling via car. Not only does it offer you the chance to enjoy the fresh valley air, but it forces you to slow down and truly appreciate the beautiful scenery of Napa’s wine country. We consistently recommend the wonderful bike tours offered by Napa Valley Bike Tours to our guests. 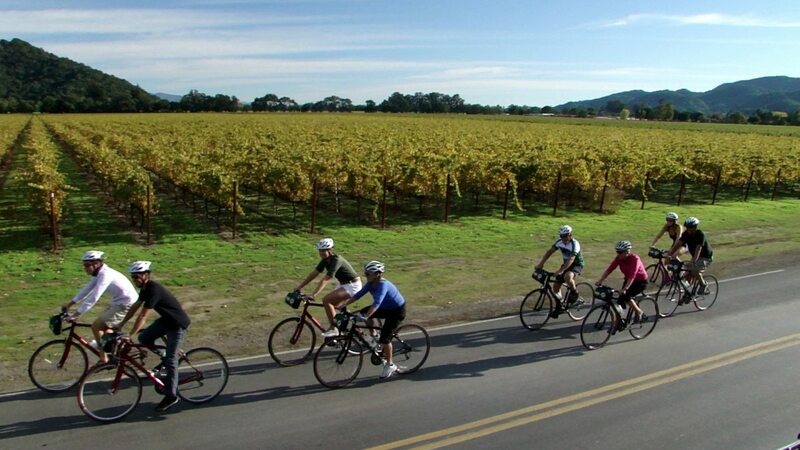 The Half-Day Napa Valley Bike Tour is the most popular of their rides. It includes 12-14 miles total of cycling on mostly flat roads, with 3-6 miles in between wine tasting destinations. 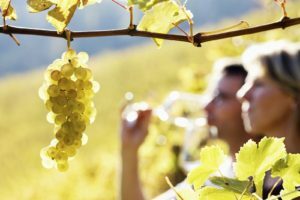 You’ll enjoy two wine tasting experiences and learn plenty about local vineyards. For a more in-depth wine tasting experience, try their Full Day Bike Tour. This ride includes 15 – 17 miles of cycling, but three wine tasting stops and a gourmet picnic along the way. Both of these tours are offered year round. If you’re looking for one of the most unique wine tasting experiences around, try the Cycling in the Vineyards Tour. On this tour, you’ll actually cycle through the beautiful vineyards of the Carneros District, a region that’s as famous for its postcard-ready views as it is wine. Wine tastings at two different wineries are included, as is a little bit of off-road cycling. These tours will start up again in March of 2019. You can also combine a hot air balloon trip with their Full Day Bike Tour for one complete day of bliss. Though we certainly value the knowledge and experience of local guides, it’s also possible to create your own winery bike tour through Napa Valley. With the completion of the Napa Valley Vine Trail, going out on your own has never been easier. 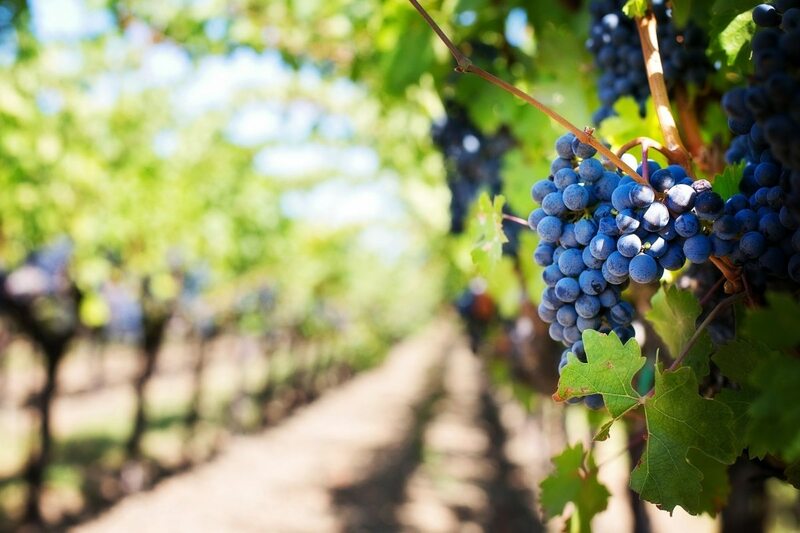 Arrange a self-guided trip with Napa Valley Bike Tours, and you get the added benefit of having a picnic lunch delivered to a winery of your choice along your chosen route, as well as the added convenience of having any wine purchases you make picked up for you. It’s truly the best of both worlds for those who prefer to adventure out on their own. No matter how you choose to do it, experiencing Napa Valley on two wheels is an unforgettable experience. At the end of a long day, our restful and romantic guest rooms will be waiting for you. Book your room at our romantic Bed and Breakfast today.